With more than 33 years of experience in the construction industry, Founder and President Milton Curtis has the skill and experience it takes to lead one of Middle Tennessee’s most respected construction companies. Milton Curtis is an expert at designing building solutions to meet the specific needs of each client. His skill at value-engineering and his ability to view the building process through his clients’ eyes have generated a thriving business and many repeat customers. Because he is known for his personal involvement in every project, our clients can all count on our patented exceptional service. A Sumner County native, Milton began his career at the age of 17 working on building projects with his uncle, also a contractor. By the time he was 19, Milton was supervising construction crews of his own. After attending Volunteer State Community College and spending three years working for a locally-owned road construction and commercial building company, Milton was ready to strike out on his own. He worked as a self-employed contractor for several years and then, after receiving his general contractor’s license, launched the Curtis Company with his brother in 1982. 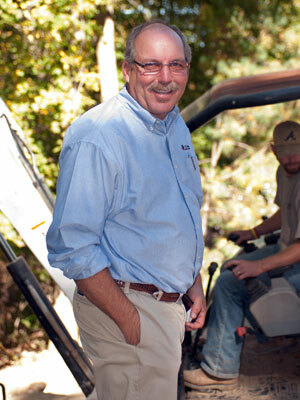 In 1996, he founded Curtis Builders, LLC. Milton is deeply committed to his own local community and is active in the Hendersonville Rotary, Hendersonville Area Chamber of Commerce, and the Portland Lions Club. When not working with clients, he enjoys street rods, water sports, NASCAR, and college and professional football. He currently lives in Gallatin, TN.